It was December 29 at NYCB Live, home of the Nassau Veterans Memorial Coliseum in Uniondale, New York. The Quinnipiac men’s ice hockey team had put up a six spot and hadn’t allowed a goal against the Colgate Raiders. 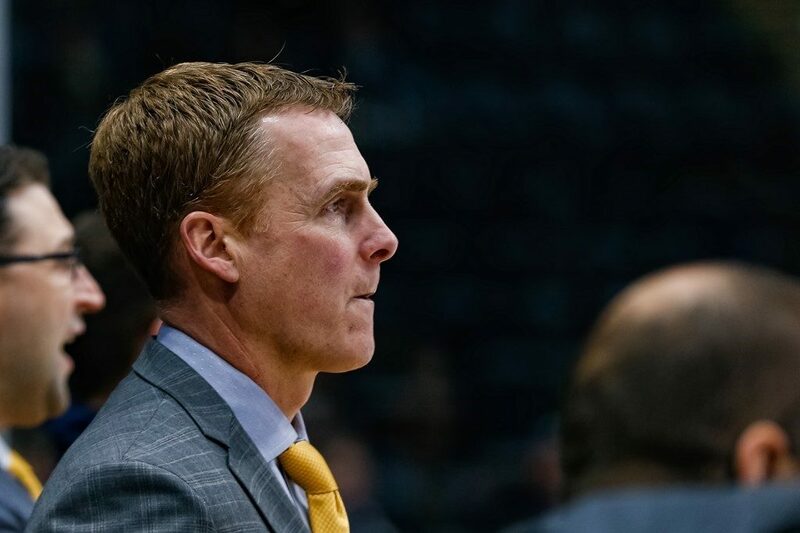 As the clock wound down to zero and the final horn blew, Quinnipiac head coach Rand Pecknold was greeted with hugs from his personnel on the bench. He had just won his 500th contest as a college hockey coach. Over his 25 years of service as Quinnipiac’s bench boss, Pecknold has built an on-ice culture that drives results including five NCAA Tournament opportunities and six conference tournament final appearances. In 2016, the team captured its first ECAC Hockey Whitelaw Cup Tournament Championship in Lake Placid. That same season, the Bobcats skated their way into Tampa, Florida where they would finish as the runner-up in the National Championship; their second similar finish in three seasons, as they did the same in Pittsburgh, Pennsylvania in 2013. They also tallied 20 consecutive non-losing seasons from 1997 all the way to 2017. This season alone, Quinnipiac has already earned 25 wins, including a victory against the No. 1 team in the country at the time in the University of Massachusetts Minutemen. The team also received a first round bye in the ECAC Hockey Tournament and won a share of its fourth ECAC Hockey Cleary Cup Regular-Season Championship. Pecknold himself was just recently announced as a finalist ECAC Hockey Tim Taylor Coach of the Year, an award which he won in 2013 and 2016 respectively. But what is all of this success attributed to? During some press conferences, Pecknold talks about “playing to your identity” in order to “get your reward.” When asked about what it’s like to play with that identity and a Bobcat hockey mentality, he gave a nod to a successful and well-known professional sports team. Team results aside, some Quinnipiac players have also found their form in the program earning finalist spots for the Hobey Baker Award. Reid Cashman, a former defenseman and associate head coach, was in the running in 2005 while goaltender Eric Hartzell was in the same position in 2013. This season, there’s a strong argument for another Quinnipiac finalist and possible winner in senior defenseman Chase Priskie. Priskie has been tallying points left and right, garnering a total of 39 with 17 goals and 22 assists. Priskie is also the captain of the team and his leadership has been a major plus for the Bobcats. Priskie handed the praise right back to his coach, speaking of what it’s like to play for him. “You really don’t appreciate it until you start to understand everything that Rand puts into this program,” Priskie said. “Like, he cuts video every day, he comes in before us, he stays later than us, he sacrifices time with his kids missing them growing up, all just to have this program to succeed and you just start to learn how much that he wants every individual to grow and prosper whether it’s on the ice or as human beings and citizens of the community and it’s unbelievable to have a guy that cares so much about his players. The results go beyond the Quinnipiac campus and the college hockey world, though, as Pecknold has seen some of his players move into the highest rank of hockey, the National Hockey League. A little over a half-dozen Bobcats have dressed for a game in the league, including Eric Hartzell, Bryce Van Branbant, Matthew Peca, Connor Jones and Michael Garteig. On the coaching side, Cashman is currently serving as an assistant for the Washington Capitals. Just this season, two former Quinnipiac defensemen, Connor Clifton and Devon Toews, made their NHL debuts for the Boston Bruins and New York Islanders, respectively. Development is a key component of college hockey coaching and Pecknold fits that bill and more through his teaching method according to his captain. “He doesn’t teach so much as a dictator but as a friend and he knows how to cooperate with everyone, he knows the different tendencies like some guys can’t get yelled at or else they just kind of shatter, some guys need to get yelled at to really get going, get that spark,” Priskie said. “So it’s interesting to see how smart he is behind the bench and how much recognition that he should get that he doesn’t really get. He’s looking for his family and when he finds them, he gives a smile and maybe a quick point of the finger. It’s a touching tribute to the influence of the important things. “Probably the highlight of that 500th win at Nassau was just being with them to get the picture we got after the game and you know, just it’s a moment that I cherish and I feel very fortunate and lucky to have a family like that,” Pecknold said. The Pecknold family was together for a big moment in the coach’s 500th win. But hopefully some day in the future, possibly quite soon, the six will gather again on the ice for a photo. This time, with a National Championship hat to wear, a trophy to hold and even more moments to cherish.